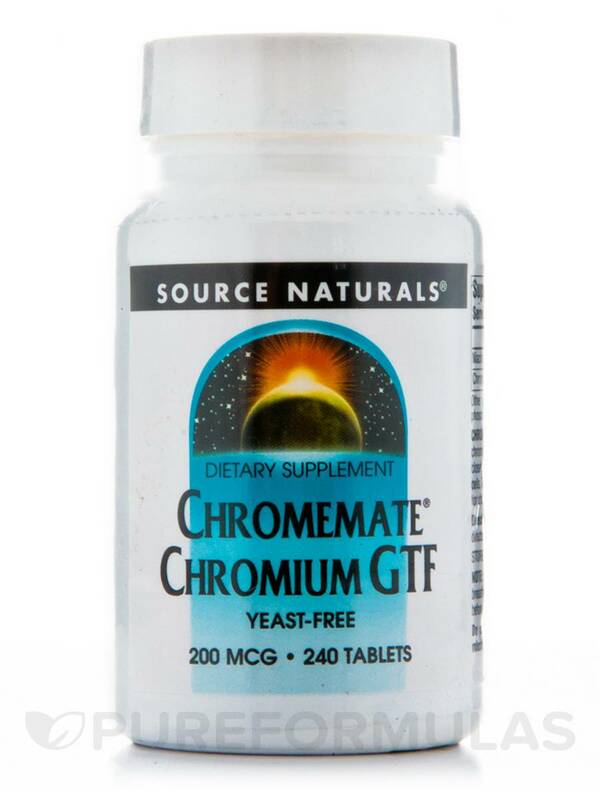 ChromeMate® Chromium GTF is a yeast-free‚ niacin-bound chromium. 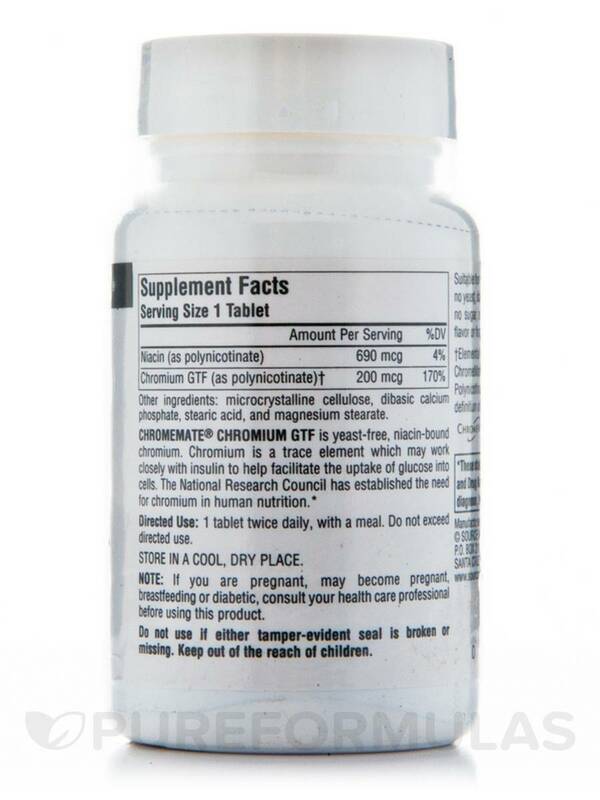 Chromium is a trace element which may work closely with insulin to help facilitate the uptake of glucose into cells. The National Research Council has established the need for chromium in human nutrition. 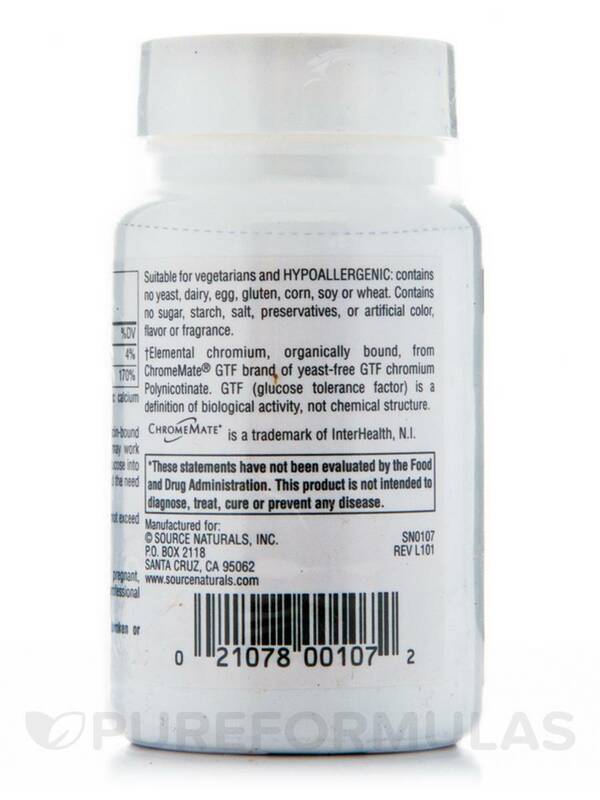 ChromeMate® is a trademark of InterHealth‚ N.I. Microcrystalline Cellulose‚ Dibasic calcium phosphate‚ stearic acid‚ and magnesium stearate. 1 tablet twice daily‚ with a meal. Do not exceed directed use. If you are pregnant‚ may become pregnant‚ breastfeeding or diabetic‚ consult your health care professional before using this product.Do not use if either tamper-evident seal is broken or missing. Keep out of the reach of children.Store in a cool‚ dry place. The Chromium GTF by Source Naturals did not disappoint. It seems to make the body more sensitive to the insulin produced after a meal. I find that taking it BEFORE meals is preferable to taking it afterwards, though. Otherwise I'm hungry all over again way too soon! Must be working!